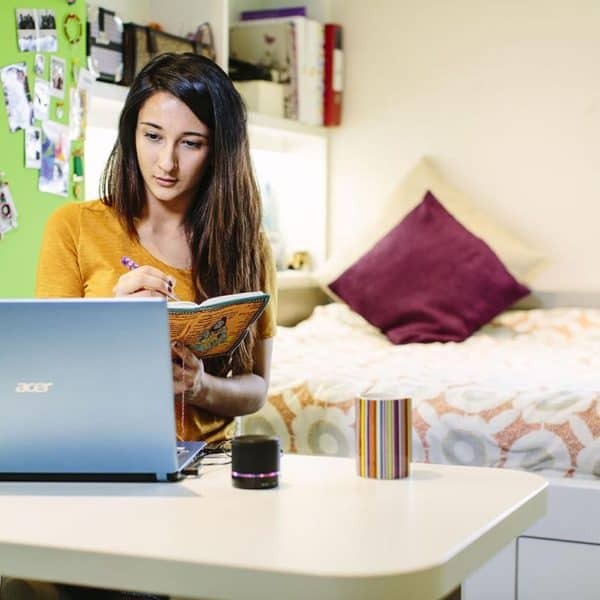 Located close to all of Cardiff’s Higher Educational Institutions, this residence consists of 240 rooms which are a combination of En-suite and Studio rooms. 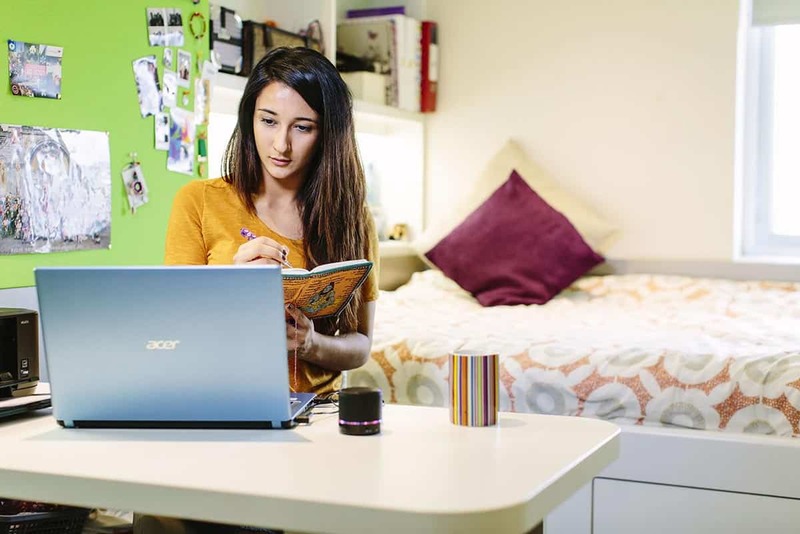 The residence has a number of indoor and outdoor communal spaces for everyone to gain the full student experience, along with a gym – all open 24 hours a day, seven days a week. This is a premium en-suite room measuring around 14m². The room has a comfortable double bed, a desk area and private bathroom, as well as a wardrobe, under-bed storage and plenty of storage. There is free Wi-Fi in each bedroom and throughout the building. You will also have access to the communal living and kitchen areas which you will share with between 4-8 flatmates.